I have dehydrated acne prone skin. My skin has been so dehydrated and I don’t know what to use. It’s like my skin is dry beneath my skin but kind of oily on top of my skin. I don’t know if that makes sense. This is what I use, I was wondering if I can use these combinations. Should I change the order of skin care? Shyenne, it seems to me you’re using way too many actives. Its seems you’re throwing everything at your skin to deal with acne and terribly drying it out in the process. Before we go any further, which ones of these products were prescribed by a dermatologist and which ones did you add yourself? I found this post super informative and clarifying (not am easy task, given that skincare terminology can be quite dense!) I was wondering if you could give me advice on which products I should use and in what order. I have dehydrated, acne prone, redness prone skin with a lot of acne scars that I’d like to heal. My doctor has prescribed tretinoin and metronidazole gel. I also own lactic acid 5%, saiyllic acid, and alpha arbutin, all from the ordinary. I cleanse with a simple, sensitive skin friendly cleanser and usually apply Neutrogena alcohol free toner after cleansing (at least after I shower) For moisturizing, I use HA or rosehip oil and Simple brand SPF moisturizer l.
Veronica, so glad you found it useful! Mmm, as your doctor has prescribed such powerful ingredients, I’d keep your skincare routine as basic as possible. Let the actives do their job and just keep your skin moisturised. If your skin can take acids, use salicylic in the morning. It has anti-inflammatory properties so it should be suitable but if your skin finds it too much (it can get super sensitive on tretinoin!) wait until your skin has become used to tretinoin before introducing it again. As for lactic acid and alpha arbutus, I’d leave them aside for now. Hello, I love this blog post so much its so helpful and descriptive. I am currently on a skincare journey of my own and trying to get a good regime going. I have dryish skin, but am breakout prone and have hyper pigmentation from old acne which I really want to lighten. I am trying to get a PM routine and see what products I use when. I recently ordered pixi glow tonic and use that in the evening however I don’t know if I should. Would you be able to recommended a routine for me using these products and what I should be using in the AM and PM? you’ve ordered a lot of great products! However, all these actives are pretty powerful so if you’ve never used glycolic acid or vitamin C, you may experience some initial dryness and irritation. My advice is to start slowly. After cleansing, you can alternate between The Ordinary Salicylic Acid and Pixi Glow. You can apply salicylic acid only on areas where you’re prone to breakouts. Follow up with rosehip oil. 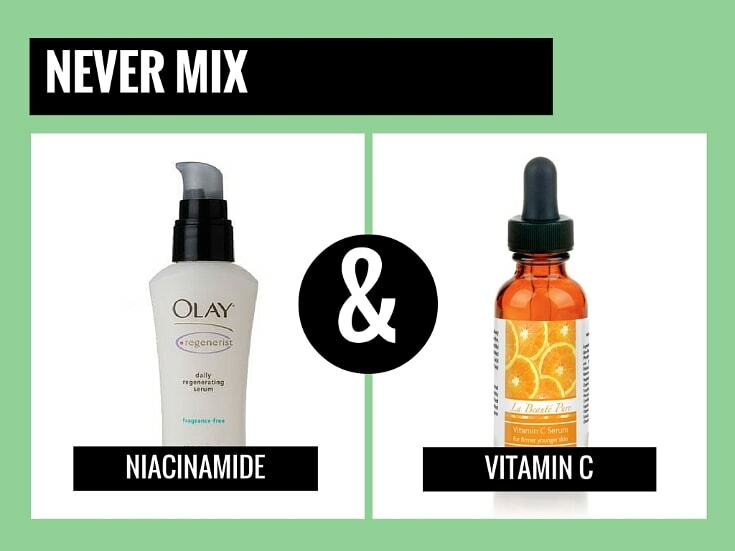 If your skin reacts well to this combination, after 3 or 4 weeks, you can introduce Vitamin C Suspension 23% + HA Spheres 2%. Mix it with a hyaluronic acid serum to get rid of the grittiness. At first, use it only a couple of times a week and slowly increase frequency once the stinging has stopped. Use it after exfoliation but before the oil. This should already help lighten your hyperpigmentation and keep your breakouts at bay but if that’s not the case, after your skin has gotten used to vitamin C, then add alpha arbutin. I understand that waiting can be frustrating but you don’t want to solve a problem only to cause another (dry and flaky skin). See how your skin reacts and, if it gives you the all clear, introduce the next active. In the past i have tried the basic skii set (cleanser+toner+miracle essence ) and it has so far worked for my skin. I would like to know , whether I’m using my night care routine in a proper order or not ! And yes , these layers are beneficial for my skin ! It’s would be of great help ! Hi Fatima, to be honest, I’d use the vitamin C serum and time revolution night repair on alternate days (or one in the morning and the other at night) after the moist. Hey Gio! 🙂 I see how helpful you are on giving people tips and setting them on the right path to their skin care routine, & I wanna know what you think mine would need or fix. im a guy (20) & I have oily prone skin I would say extremely oily but I also feel like it could be dehydrated, I also have acne prone skin and most of my acne is on my cheeks & chin, my chin tends to breakout pretty easily I would say around my mouth I have whiteheads and I get some cystic acne on my cheeks sometime, with that I have also have hyperpigmentation from post acne witch is my most concern too because I really don’t know how to target that and I’m scared to add products to my routine bc of the fear of getting more breakouts. I know that’s seems kind of a bit but I have tried so many skin care products such as cleansers, niacinimide, azaleic acid, moisturizers but I just started this routine to keep it basic because I don’t know what to do. Chris, I’m all about keeping your skincare routine basic, especially when you have acne. It’s best to use a few products that work than plenty who can irritate it. But I don’t see anything in your skincare routine that can deal with acne and the dark spots it leaves behind. I recommend you use a salicylic acid exfoliant every night straight after cleansing instead of the toner and see how that works for you. Try it for a month and, if this alone isn’t enough, we’ll tweak your skincare routine further. Hi! I wanted to know if it’s okay to continue my daily routine using a gentle cleanser with salicylic acid, before applying the ordinary niacinamide and a sunscreen contaning vitamin e, with 30 SPF in the morning. I use the same routine during nighttime but instead of sunscreen, i apply cosrx centella blemish balm. Twice a week, I would sometimes use bodyshop’s tea tree mask. My acne has subsided but i still have some active breakouts and i planned to use the ordinary granactive retinoid 2% emulsion to try and clear up my acne scars and dark spots. Riys, your skincare routine sounds fine to me and you can definitely add Granactive Retinoid a couple of times a week to it. But I’d switch to a leave-in form of salicylic acid. SA works better when left on the skin for hours so using a leave-in exfoliant can help you reduce acne even more. teresa, both can be harsh on the skin, which is why Epiduo is available by prescription only. A doctor can tell you how to minimise the irritation but even so some people can’t use it. You have to try for yourself to see how your skin fares. Best of luck with it. My boyfriend suffers from bouts of cystic acne mainly around his chin and he gets whiteheads too. The same cystic pimple often keeps coming back and often takes week so disappear. I have introduced him to a simple cleansing and moisturizing routine, exfoliating a couple of times a week. Also I’m encouraging him to use The Ordinary’s Nacinamide in the evenings. When he has had a breakout he’s tried at different times The Ordinary’s salicylic acid, and Acnecide’s 5% benzoyl peroxide, but of course these only work when the cystic pimple has turned into a whitehead. Is there anything you recommend, or any good men’s skincare that he can try? I wondered if retinol would help. Charlotte, sorry to hear about your boyfriend’s skin issues. Has he tried using salicylic acid every day? That should help prevent them too so he won’t suffer from them as often. Retinol can definitely help but if he’s having a bad breakout, he can try a sulfur masque like Obagi Oeffects. Hope this helps. Can you possibly provide some advice on what I should use each week? Gemma, as long as you have windburn, I wouldn’t really use anything apart from the cleanser and the La Roche Posay Cream. All the other products contain actives that help with anti aging but can also irritate skin. Get that sorted out first and then start your anti aging game. You also said that you’re at the beginning of your anti aging journey but you’ve chosen some products that are better for pros. For example, Paula’s Choice 1% Clinical Retinol Treatment is for advanced users only. If you’ve never used retinol before, this’ll dry out and irritate your skin pretty badly. With retinol (and vitamin C) you need to build tolerance. For now, keep it simple. Just cleanser and moisturiser. When your skin is recovered, start exfoliating. You have two options here. You can use only BHA all over your face every morning or you can use it only on your blocked pores and, twice a week, use Good Genes everywhere else. Paula’s Choice BHA and Good Genes Lactic Acid are both exfoliants so your skin needs only one of those products. But since you bought both, you can go with the second option until you’ve run out of Good Genes. Wait three/four weeks for your skin to adjust to exfoliation and then introduce the Indeed Vitamin C cream three times a week in the morning. You’ve chosen one of the most powerful (and potentially irritating) Vitamin C products so I recommend you start small and build frequency gradually. If after one more month your skin is reacting well (no dryness, flakiness, irritation), then introduce Luna Oil three night a week. When you’ve finished the oil, you can try going with Paula’s Choice Retinol Booster. Luna Oil has a gentler form of retinol so it’s best to start with that to build tolerance and upgrade later on. I know this isn’t what you wanted to hear. When you start to see the first few wrinkles you want to throw all the best anti-aging ingredients at them. But those ingredients are too harsh for the skin if not introduced into your routine the right way. Using them all together now won’t give you wrinkle-free skin. On the contrary, it’ll give you seriously dried out, irritated and wrinkled skin. Starting gradually is frustrating but the results are worth it! I’m 34 and still suffering from acne ? I need you advice on when to use retinol, and vitamin c. Was also wondering can retinol be used with Asterwoods Matrixyl 3000 +hyaluronic acid+vitamin c serum ? Whats a good vitamin c serum ? Princess, yes you can sue the Asterwoods serum in the morning under sunscreen and the retinol at night. If you’ve never used retinol before, start with a couple of times a week and build frequency from there. my question is how and what part should i use niacinamide? in the am / pm? what products should i cross out of the list? Hi Naima, I would skip the AVC toner as its ph can irritate skin. Instead, I’d add a niacinamide booster (Paula’s Choice makes one) to your moisturiser in the morning. Hope this helps. Hi, I want to know if my skincare regiment I use right now is good or not. My face is oily with clogged pores on nose and chin, dry on both cheek and forehead, with some brown scar from bump acne on my chin and new red scar from acne that every two day will pop out on the side of my nose. Are there some product that I should not mix together? Am I layering the product too much? I also want to change to The ordinary glycolic acid 7% after I finish my Cosryx AHA/BHA toner. Syahidah, your routine seems fine to me. Switching to The Ordinary seems a good idea. I like their Glycolic toner more than the Corsx Toner you’re using now. HI Gio: What a wonderful resource you are! I stumbled on your blog while looking up The ordinary products who’s labels I find quite confusing and am unsure of what active i would need to add to my routine. I am interested in both the salicyclic acid 2% and the niacamide 10%, although really I am fascinated by all of their offerings and at that price point, open to suggestions! I suffer from occasional adult cystic acne, controlled topically. Currently, I am using: AM and PM cleanser: Naturopathica Aloe Gel cleanser. AM active: Mad Hippie Vitamin C (stored in the fridge for extra stability) + the ordinary hyaluronic acid with B5. PM active: Trentonin (derm perscribed: .05, use intermittent over the very dry winter months) + spot treatment onexton (derm perscribed- it’s a benzoyl peroxide/clindamycin combo) + the ordinary hyaluronic acid with B5. I use a CC cream (it cosmetics) with an SPF of 50. Marpilfi, thanks for your kind words. So glad you find my blog useful. Both The Ordinary salicylic acid 2% and niacinamide 10% would be great additions to your skincare routine. You can use both in the morning so they won’t interfere with your prescription meds. Hello. How about alpha arbutin and vitamin c serum, can i mix them together? Is it will form a reaction? Natika, yes you can use them together. But I’d use them one after the other rather than mixing two serums. Hi gio…i used at night low ph morning of cosrx amd thayers toner and oil free moisturizing lotion (with birch sap).after these can i use retin a or vitamin c?? Hi Marrisel, you can use vitamin C after toner but before moisturiser in the morning and retin A after toner but before moisturiser in the evening. Hi Gio, I used my vit c (klairs freshly vit c drop) straight after cleansing, then wait for 20 minutes for following next step: First Essence, (naruko first renewal miracle essence) Toner (Klairs supple preparation) , Essence (Belif Hungarian Water), Serum (Klairs) and Moisturizer. (Belif peat miracle cream). However, I just realize that belif peat miracle cream contains niacinamide which make me hesitate now to use my vit c and belif cream in same routine. What do you thinks? Is both ingredients still effective? Hi, I hope you can help me with my day time and night time skin care routine. These are the products that I have timeless 20% vitamin c serum, pure hyaluronic acid serum, the ordinary matrixyl 10% plus HA, tretinoin cream 0.05%, hada labo skin plumping gel cream and cerave pm moisturizing lotion that has niacinamide in it. I have aging skin and I need some help to figure out what order to use the products. Oh and of course sunscreen. I would really appreciate it. Thanks so much. Debbie, in the morning, use timeless followed by one of the hyaluronic acid serums, had labo and sunscreen. In thee evening, tretinoin, the other hyaluronic acid serum and cerave. Hope this helps. Gioia, always apply Timeless first thing after cleansing in the morning and Retinol first thing after cleansing in the evening. After that, use products with the lighter texture first and those with the heaviest last. I want to know if I can use vit c serum with vit e and hyaluronic acid added follow by pure emu oil and than a sunscreen. As for pm, use retin A .05% wait 20 minutes than add emu oil. Or is it better to mix emu oil with basic moisturizer? Shirley, I’m not a fan of mixing products because you could be diluting the active ingredients and their efficacy. But you can use them one after the other in the order you mentioned. I cleanse with a gentle cleanser (obagi), then use environ clarifying lotion (niacinamide) and follow with vita moisturiser (Mario badescu). I have just purchased a Vit C serum (Mario b also) and a hydrating sunscreen (Mecca). Georgina, if your skin is irritated, I would stay away from both for now. Both vitamin C and retinol are powerful antiaging ingredients that can fight wrinkles and boost collagen. But they can be irritating, especially when you first start using them. That’s why it’s best to start with a small dose once or twice a week and build both dose and frequency overtime. My advice is to keep your skincare routine as basic as possible until the irritation has healed. Then, you can introduce one of these actives into your skincare routine. Use it for a month and, if your skin tolerates it well, then you can start adding the other. Hi Geo!! Let me see if I can pick your brain. I don’t use them all together or all at once, but could you suggest a regimen and an order to use the products that works well? This blog is amazing! I have hormonal cystic acne at times and although it is usually manageable I still get them badly around my period. I was recently rx’ed Veltin by my derm and am wondering where to fit it into my night time routine. How should I incorporate the Veltin, should I alternate it with the niacinamide and azelaic? Hi Sofia, didn’t your doctor mention how to use it (how often, when etc)? If so, do what he/she said. As a rule, prescription medication should be applied on clear skin, after cleansing. One option would be to keep your skincare routine simple in the evening and use the other actives in the morning. But as Veltin is usually applied only on the affected areas, you may still be able to use the other actives on the rest of your face, just not on top of Veltin. Hope this helps. is it okay to use Retin A .05% with pure emu oil since they are both known as vitamin A? Shirley, to be honest, it depends on your skin type. I’d personally use an oil without or with less Vitamin A but I know that for some people this combo works. It really depends on how dry/sensitive your skin. Hi Joanna, as you’re just starting out with these ingredients, I’d say use them separately. Vitamin C three or four times a week in the morning and retinol a couple of times a week at night. If your skin doesn’t dry out or flake, you can start using them more often. I’m working on a post about how to take care of normal skin. In the meantime, here’s the gist: you don’t need that many products. Your skin is happy as it is and doesn’t need too much. For example, you don’t need a toner. You may also not need moisturiser but as you’re introducing powerful anti aging actives that could dry out your skin I’d say use one. Paula’s Choice makes some good moisturisers for normal skin. As for cleanser, a milk cleanser that doesn’t leave your skin feeling dry is enough. Your skin also doesn’t need that much exfoliation but I’d still use lactic acid a couple of times a week. Just to give your natural exfoliating process a gentle helping hand. The focus on your skin type is to maintenance the balance and don’t do anything that may strip it/dry it/cause damage. Keep it simple. Hye Gio . It’s good to see your efforts in educating us about skincare . You’ve been helpful by providing us information with explanation too . However, i would like to seek for your kind assistance to improve my daily routine . Actually i dont really know my skin type. Maybe it’s combination (forehead+nose= oily, cheeks=dry). And also i have dull and uneven skin tone. I want to reduce my whitehead on nose, have an even, hydrates and glowing skin tone. Can you suggest the best way/product ? Grasi, I wouldn’t say it’s completely useless. It really depends on how they’ve formulated it, the concentration of each active and the ph. If you can, try a sample and see if it does anything for you. Can i use rosehip oil (which contains natural vit a) after i use vit c serum? Utari, to be honest, it depends on your skin type and how resistant it is. I know people who can tolerate this combo very well and others who can’t. My acne is weird,I use the proactive plus set and it’s works well but people are telling me using proactive is a bad idea because if I stop using it again I’ll break out again. Is that true? I have very oily skin so i feel like it will make me break out. Any suggestions for new products and how to deal with stress acne? Melinda, I’m not sure why that would make it a bad idea? If your skin produces way too much oil, then you need products that can exfoliate it and keep those breakouts at bay. If you stop exfoliation, of course with your skin type, the breakouts will come back. For stress, I recommend a form of mindfulness. Like meditation, journalling or just going for a walk. Anything that relaxes you. Finding groups online of people who are going through the same thing also helps. Anam, thanks! So glad you like the blog. I think your current routine is fine as it is, or is there something that’s not working properly/not giving you the results you crave? I believe in “if it ain’t broken, don’t fix it”. I alternate sometimes, I don’t use the serum but I exfoliate with the Neogen Bio-peel gauze lemon twice a week and sometimes I use the skinfood rice mask wash off. However, I went to see a dermatologist and they told me to use retinol 20% for my acne. I don’t know what to change in my routine to actually be allowed to use the retinol and get rid of my pigmentation. Also, I was wondering do you have any recommendation for moisturisers for oily skin because whatever I use, my skin is always oily. Clara, prescription retinol should be used in the evening on clean skin, straight after cleansing and toning. 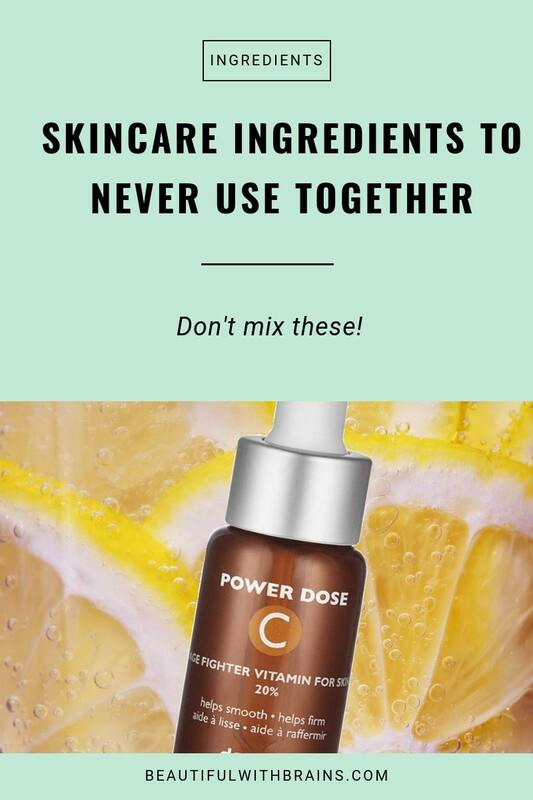 I’d also move Vitamin C in the morning as this combination together could be too much for your skin. First of all thanks for your amazing blog! I’m so glad I found your blog, it is one of the best I’ve read since I started my acne treatment almost 1,5 year ago. The information is so helpful and clear, I can’t get enough of it! I was thinking of introducing The ordinary’s Azelaic Acid Suspension 10% in the mornings as additional step to cope with post-acne pigmentation and Niacinamide 10% + Zinc 1% in the evening to boost the Retinol serum. What would you say about my routine in general? And would you recommend introducing additional steps above? I think your skincare routine is pretty good as it is. Yo0u’re already using very powerful ingredients so I would caution against adding anything more, especially when it’s not necessary. La Roche Posay Effaclar Duo Moisturiser already has niacinamide and zinc so you don’t really need to get the Ordinary one as well. Azelaic acid is good for pigmentation but it’s best for dark spots caused by sun exposure or melasma. If you simply want to get rid of the discolouration left behind by pimples, vitamin C + retinol + glycolic acid should be enough to do the trick. Talking about glycolic acid, as you’re already exfoliating at night with salicylic acid, you may not need it in the morning too. Still, the concentration in Pixi Glow is small so if you’re not drying out your skin, you can keep using it, at least on the pigmented areas. Either Nivea night cream or polaar moisturiser. I was wondering if I could add the ordinary niacinamide + zinc, and retinol 1% to my routine, to reduce blemishes and the scarring? But before you add then, I’d add a salicylic acid exfoliant first. For your skin type, that’s a must. It exfoliates the pores from within, preventing and reduce pimples, blackheads and whiteheads. You can use it every morning and every night after cleansing. I’d also consider adding a hyaluronic acid serum. If your skin is dry underneath, this can restore the balance. If you feel these are too many steps, you can do without The Body Shop toner. Hope this helps. After accutane my skin is no longer as oily but still prone to flaking around the t-zone and i still get some spots once in a while. 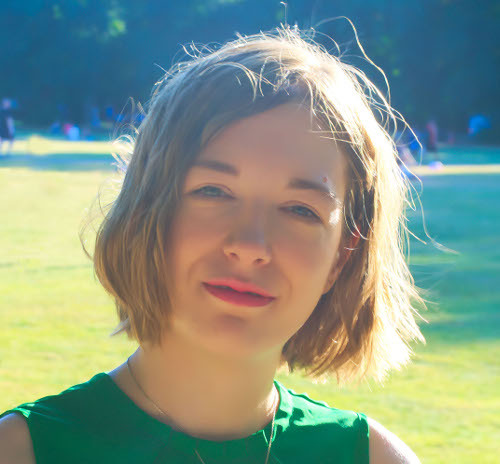 My big issue is that all those years of acne and picking at my skin have left me with quite a bit of scarring, enlarged pores and generally uneven skin – especially my forehead is full of small ghosts of spots and small scars. While i am too tired to do any skin-care in the morning (i just clean my face and moisturize), each night I clean my face with micellar cleansing water, use a toner containing witch hazel and aloe vera, apply a vitamin c serum and then moisturize. Emma,. I’d definitely recommend exfoliation. Usually, I recommend salicylic acid for oily skin but glycolic acid works better for scars and uneven skin tone. Try a product that has both like Drunk Elephant Glycolic Night Serum. Use it straight after cleansing three or four nights a week. You may also want to go to a dermatologists for peels as these can help solve the issue a lot more faster than topical products. Re collagen drinks, there is some proof they help skin BUT when you drink collagen, your body doesn’t know you’re doing it to repair scars. It takes that collagen and uses it for whatever process it needs at the time. So if you’re looking at the as a solution for scars, they’re not it. But if you feel like your skin and body need more collagen to function properly, they can help. Hope this helps. Hi just wanna ask if i should continue my skincare routine. Im actually dealing with acne and dark spots. then i use Lush Mask of Magnaminty once a week and The Ordinary AHA 30% + BHA 2% Peeling Solution once a week also. Thanks in advance! Camille, that depends,. How are you finding your current skincare routine? Is it working well or are you unsatisfied? One thing I’d recommend is ditch Glycolic Acid 7% toning Solution and replace it with 2% Salicylic Acid. They both exfoliate skin but salicylic acid can get inside the pores and prevent/treat breakouts so it’s more suitable for your skin type. Thank you for your well researched tips. I had a few questions please. I have a combination skin tending towards drier side with white patches appearing on my cheeks in the morning. Follow it up with Dermalogica skin smoothing cream which has A,C, E.
2. Can the Dermalogica cream with A,C, E be used along with the Retinol product or will VIT C react with Retinol as per what you have mentioned above? to answer the first question, it really depends on how sensitive your skin. If it’s very resistant, it could tolerate this combo well. If it’s very sensitive, it’s best not to risk it. As for the second question, if I’m not mistaken that cream should contain a derivative of vitamin C so you can use it with retinol. Gio, your blog is a godsend! It’s incredible that you take the time to interact with so many followers. I am gearing up to start aesthetician school in the Fall and absolutely nerd out over all of your articles 🙂 it would be an honor to get your input! About a year ago I moved from Washington DC’s humid climate to Colorado’s extremely dry climate, so it’s been quite a shift for my previously combo/oily t-zone skin to now all-around dry skin. I’m 27 and have some fine lines and early expression lines to combat. Here’s my current routine. 1. I use the lactic acid after the vit c just based on the “lightest to heaviest” rule. The serum says it’s 15% L-Ascorbic Acid. Is this the right order? I also got a sample of the Biossance Squalane + Vitamin C Rose Oil and LOVED it (may be just because the smell is extremely pleasant, the opposite of the Drunk Elephant vit c serum) so I’m also considering a switch- any input on these products? 2. I don’t struggle with acne but have lots of sebaceous glands and blackheads in my nose, cheeks and chin area and am looking to clear out those pores, so just purchased The Ordinary’s Niacinamide + Zinc and Salicylic Acid with the hope to introduce those into my routine. Would you recommend AM or PM and in what order? 3. I unfortunately haven’t noticed the retinoid benefits from the Luna oil and was looking into getting a stronger retinol formula like one from The Ordinary in case that would have any impact on your suggestions with my night routine. Open to any suggestions in general as well! Thanks so much in advance! The first thing I’ve noticed about your skincare routine is how many exfoliating products you use. You’re already using 3 and want to introduce one more! Salicylic acid is the best exfoliant for your skin type so use that. You have two options here. Drunk Elephant Glycolic Night Serum has both glycolic and salicylic acid so you can just use that every night after cleansing. Or you can ditch that and use The Ordinary Salicylic Acid every morning and night after cleansing instead. I’d also ditch the glycolic acid toner and Sunday Riley good genes. You only need the right exfoliant for your skin type, not every exfoliant out there. I know you’ve probably heard that Glycolic acid boosts collagen and is good to treat wrinkles but that’s true at 10% or higher concentrations so you really don’t get any other benefits apart from exfoliation from all these products. And in this case, exfoliation is a job better done by salicylic acid. You can apply niacinamide + zinc either morning or night after serums. I was wondering if the alpha arbutin would work well in the evening with the vitamin C since theyre different pH levels. I’m a bit confused on how I should organize all of these products for the best results, or if I should add any other products to help like retinol? Thanks! Brittany, if you feel the dark spots aren’t fading well you can certainly replace vitamin C with retinol in the evening. Just use it on alternate nights with the glycolic pads until your skin gets used to it. Hi Gio! I’m so happy I found your blog—I had basically perfect skin as a teenager (minus a brief battle with KP) and naively assumed I’d never have to worry about a lengthy or involved skincare routine. Alas, midway through college I began having trouble with my skin and now, three years later, I’ve made little to no headway combatting the problems and have developed a bit of a skincare obsession in response. My skin type is dry but also I gues a combination—when left alone, my t-zone is very oily but unfortunately it also gets dry very easily, which results in a confusing situation—in trying to treat breakouts, the areas get red/tight/flaky (and oily on top, though I know this is a reaction to being too dry), but if left alone the areas are overly shiny and breakout prone, which I then have a hard time treating without it drying out, etc etc. I have blackheads all over my nose (which strangly doesn’t get dry) and in the crease of my chin, clogged pores all over my chin and in between my eyebrows, and get what I guess are pimples (normally no head, but not cystic and don’t hurt—but super red) on my forehead and chin/jaw. This has been my routine for 3-4 months and I’ve seen improvements but still not what I want. Lauren, I hear ya! Benzoyl peroxide works but it’s very harsh on the skin. The first thing I’ve noticed is that you’re not using a leave-in form of salicylic acid (SA). SA is the only exfoliant that can get inside the pores and remove all the crap that causes breakouts. Getting it from a cleanser doesn’t work because it needs to be on the skin for several hours to do its job. Lactic acid won’t help in this case either because you don’t need to exfoliate only the surface of your skin. You need to exfoliates the pores too. If you haven’t used it yet I’d ask The Ordinary if you could exchange Lactic Acid for Salicylic Acid 2%. Even if not, forget about the lactic acid and the exfoliating cleanser and start using salicylic acid every morning and night. You should see a big improvement by doing this. At first, I recommend you stop using benzoyl peroxide for a while. See how salicylic acid works on its own and, if it’s not enough, then spot treat with either benzoyl peroxide or tea tree oil diluted in water. Also, have you considered using hyaluronic acid followed by a lightweight moisturiser in the morning? At night, hyaluronic acid and reship oil might be enough too. My first recommendation for oily skin is to supplement a light moisturiser or oil with hyaluronic acid rather than go with a heavier cream as that could contribute to breakouts too. Hope this helps. Hello Gio. This is the most useful article I have found on the internet. I was ecstatic to scroll to the comments and see you have taken valuable time to answer. Thank you for doing this! I have severe melasma that doesn’t budge. I am 43 with some visible signs of aging and very dry skin. As you can see, I am struggling. The only thing that helps my melasma (but does not completely eliminate it) is tri-luma which is a mix of tretinoin, hydroquinone and a steroid. Unfortunately, I can only use it once a day for 3 months at a time then take a break which usually means my dark spots get dark again. On top of it, my skin is so dry. I am hoping you can help me answering a few questions: Can I use a moisturizer on top of tri-luma and if so, is there any ingredients that I should avoid in the moisturizer? Also, since I use tri-luma only at night, could I use brightening products like vitamin c, alpha arbutin or kojic soap during the day to help the process ? Are there any ingredients or products that might help me maintain the tri-luma advances when I have to take a break from it? Any suggestions would REALLY be appreciated! I really hope I can get your thoughts on this. Chinitapr, yes you can use moisturiser on top. I would choose a basic one like Cerave. It has niacinamide to help hydrate skin and strengthen your skin’s protective barrier but without any harsh ingredient that could dry out your skin more. The Ordinary Natural Moisturising Factors is another great option. I would advice against kojic soap as that can be drying. But once you’ve got the dryness under control, you can introduce a vitamin C serum to your skincare routine. I would advise to use alpha arburin during your break from tri-luma. If that doesn’t work, try azelaic acid. I’ve been so impressed with your knowledge and the advice you’ve given, I thought I’d ask for help with bringing down the cost of my skincare regimen. I’m close to 50 and live in Colorado (dry, dry skin, melasma, outside a lot, and sensitive skin that breaks out even if it hears the words “organic” or “plant-based.”). I use and love Epionce products, and they’re the closest thing to simple and organic that my skin can tolerate. Right now I’m using SkinMedica’s Lytera line (AHA/BHA cleanser and cream in the AM with Lytera, and Lytera, Retinol and moisturizer PM). I would like to use The Ordinary because it appears to be simple, filled with active ingredients, and cheap, but I cannot figure out which products to use, and when. Any thoughts? THANK YOU! As a PM moisturiser, you can use The Ordinary Natural Moisturising Factors or opt for an oil. Both rosehip and marula are very good. Hi Gio! THANK YOU for finally putting together a list of do’s and dont’s people can ACTUALLY understand! That being said, I’d love to ask your advice on my skincare routine which is new to me.. specifically nighttime for sure..
** just started this regime for my super dry, dull, beginning to age and wrinkle skin with large pores, dark sun spots all over, and breakouts. However, I know there’s citric acid in my moisturizer which is causing burning and redness the second I put it on after my Tretinoin and Visionnaire serum – however, I LOVE the results with the moisturizer, just want to make sure I’m not inactivating anything as I can “suffer” through the nighttime irritation as long as it’s OK to do so. Thoughts? Lastly, should I use the Visionnaire in the AM with my Clinique moisturizer or add in an exfoliating or Vitamin C serum here? Thanks SOOOOO much in advance! I don’t recommend using vitamin C or glycolic acid with tretinoin. Once your skin has gotten used to tretinoin then you can add a vitamin C serum in the morning. They’re both powerful ingredients so it’s best not to use them at the same time. Thanks for been awesome. Thanks for taking time out to answer everyone. It’s really kind of you. Your blog is super useful and helpful. Really appreciate it. I am new to skin care . Until last year, all I needed for my face was a cleanser, a moisturizer and sunscreen. Sometimes a toner. Nothing too crazy. I had great skin no breakouts. And then boom – my skin became angry with me and things went down hill from there. I have oily skin. And now I am acne prone. Mostly cystic( I think these are the ones u can feel under your skin right?) I have gone crazy with buying different products to help treat my acne as you can see below. But I know I am doing something wrong. Pls help. What do I take out? What do I need to include ? What should I not be using together? My main problem would be treating the acne and the clearing out the pigmentations they leave behind. Jane, thanks for your kind words. Happy to help. Mmm, the first thing I noticed is how many products you use. It’s never a good idea to throw too much at acne or you won’t know what really works. You may also be using something that’s clogging your pores even more but again, with so many products, it’s difficult to tell. I’d like to propose you to take a step back and follow a basic skincare regime for a while. If you find this still isn’t helping, then do introduce a spot treatment with benzoyl peroxide. Once your acne is under control, then you can also reintroduce the other products, one by one. That way, you’ll be able to tell if any one of them is upsetting your skin. If you find your skin feels a little dry in the morning, then you can use an hydrating serum or lightweight moisturiser. Hope this helps. HI!! I love the blog…so informative!! I have a couple of questions regarding some products that i currently own…Can The ordinarys lactic acid 5% and Vit C 23% in HA spheres be used together in the am? Also, I use Hylamide subQ anti-aging serum, what would be be the best order to apply this product in the morning? Before or after the lactic acid? Thanks!!!! Heather, if your skin is very resistant, you may be able to use them together but I don’t recommend it. It’s safer to use vitamin C in the morning and lactic acid straight after cleansing in the evening. You can apply Hyalmide SubQ after vitamin C in the morning. For nights, I plan on alternating my use of serums and oil with Sunday Riley’s good genes lactic acid treatment and luna oil with retinol. Please let me know how this process looks, thank you! Merry, I agree that you should definitely look more into exfoliation but I think you may overdoing it a bit. Drunk Elephant TLC already has glycolic acid, salicylic acid and lactic acid. So just use that one and ditch the Murad Acne Cleanser and Sunday Riley Good Genes. If you’ve already bought them and want to use them up, I guess you could alternate them with TLC. But really TLC is all you need for exfoliation. Start using that three times a week for one month and, if your skin’s happy with you, add the luna oil on the other nights. Hope this helps. Wow! Your individualized responses are amazing!! Thank you for taking the time to help everyone! Kendra, my pleasure. Happy to help. Hi Gio, love how informative this article is! I’m 24 and my skin normal with no break outs or large pores. However since I started wearing makeup up I am struggling with hyper pigmentation around my eyes and top lip. I’ve started using this routine to help fade the HP. I also wanted to know if I can use products containing lactic acid and glycolic acid in the same day but at morning and night. Any suggestions for new products to use would be very helpful thank you. Elis, please please please stop using lemon essential oil. It’s irritating and phytotoxic so it can make your skin more prone to sun damage. I know you’re using sun damage but high concentrations of citrus oils aren’t recommended. Salicylic acid works better at unclogging pores than fading hyperpigmentation. Glycolic acid and lactic acid are both good options. You can check out a product that has both, like Paula’s Choice line of AHA exfoliants. Hope this helps. Hello Glo..can i mix Tretinoin with a night cream that contain vitamin C and alpha Arbutin.. Im using Obagi C therapy Night cream, can i mix tretinoin with it?..thank you..
Ghie, I wouldn’t mix anything with tretinoin. You can apply the other products in the morning so they wouldn’t interfere with tretinoin. I’m looking for a new skincare routine. Can Niacinamide be used with retinol or salicylic acid?